Running away didn't solve anything ... at least, not the first time. Intensive care nurse Mackenzie Jones is no stranger to running. As a teenager she fled her family home, leaving tragedy and loss in her wake. Now, after fifteen years alone in Sydney, with the strain of working in a city hospital wearing her thin, she's tempted to run again. 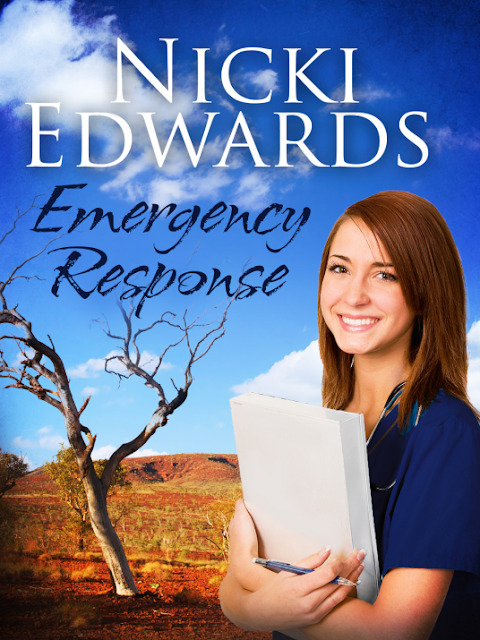 Mackenzie jumps at the chance to work in a mining town in the Western Australian desert – anything to lift her spirits. Though she barely dares to hope, she wonders if she might find the kind of love that can ease her loneliness. In the outback, Nathan Kennedy is at a loose end. He's been making money in the mines for years, and pressure from his family to return to the east coast, settle down and get married is reaching fever pitch. The problem is, he hasn't met the right woman. When Mackenzie turns up in town, there's an instant attraction between her and Nathan, maybe even true love. But tragedy's not done with Mackenzie Jones – the past is about to catch up with her in more ways than one. You will laugh and cry as you follow Nathan and Mackenzie on their journey into love.